Japan’s Maglev train has broken its own world speed record, hitting 603km/h (374mph) in a test run near Mount Fuji. The magnetic levitation train beat the 590km/h (366mph) speed it had set last week in another test. The 280km (173mph) journey would take only about 40 minutes, less than half the current time. 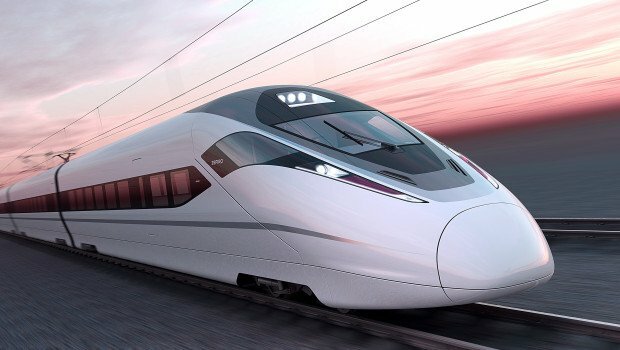 However, passengers will not get to experience the maglev’s record-breaking speeds because the company said its trains will operate at a maximum of 505km/h (313mph). Construction is estimated at nearly $100 billion just for the stretch to Nagoya, with more than 80% of the route expected to go through costly tunnels, reported AFP news agency. Japan’s PM Shinzo Abe is visiting the US on Sunday where he is expected to pitch for a role in building a new high-speed rail line between New York and Washington.